While at least 3 of your Yellow Friends are at one Problem, flip an additional card during faceoffs at that Problem. 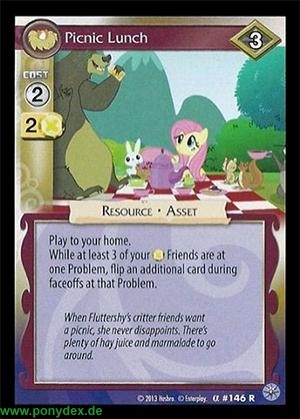 When Fluttershy's critter friends want a picnic, she never disappoints. There's plenty of hay juice and marmalade to go around.